The AVENISENSE’s products are intended for use in potentially explosive atmospheres of gases, liquid and gaseous fuels in industries such as refineries, gas installations, petrochemical industry, chemical industry. 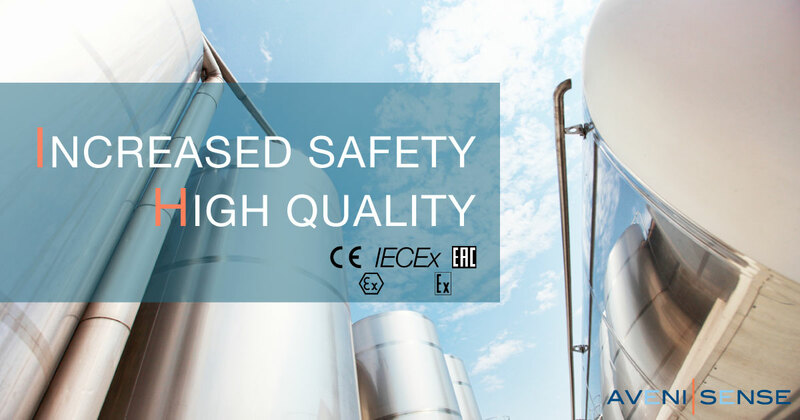 All our Ex-protected products are certified in accordance with the European standard ATEX and the international standard IECEx, also obtained the certification for the Russian market, Ex EAC. The production process is conducted according to high standards of ISO 9001 ensuring high quality products and increased safety. More information please click here.